The Canadian company isn't offering free meals in economy class on its new long-haul route and it's the first carrier to do this on a direct flight from Vancouver to Europe. It takes nine to nine and a half hours to get to London's Gatwick airport. If you're planning to take WestJet's transatlantic flight from Vancouver to London you might want to bring a sandwich. 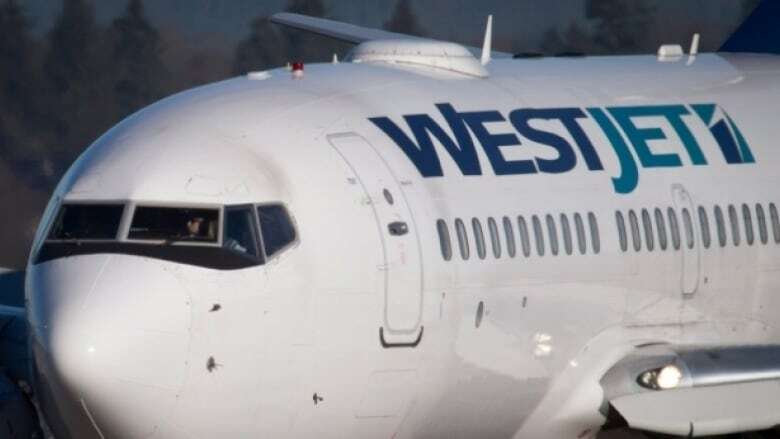 "Within Canada, we are the only carrier charging for hot meals in the economy section of our aircraft," WestJet spokesperson Robert Palmer said in an emailed statement. The airline started flying to London from Vancouver on May 6 and it's running the non-stop service six times weekly until mid October. "Our guests have always told us that they do not want to pay for things they do not need or want, and that includes expensive meals," said Palmer. WestJet considers itself a low-cost carrier and says its major competitor, Air Canada, is a legacy carrier and uses a different business model. "Fares will include more features, but they're also more expensive. Comparisons between the two types of carriers are problematic because you're comparing two different business models," said Palmer. WestJet also points to the Norwegian Air flight from New York to London, on which the company does ask for meal payment on certain fares. But other low-cost airlines such as Air Transat, with non-stop service from Vancouver to London, do offer free meals on all flights to Europe. Gabor Lukacs — an advocate for passenger rights — says not providing meals on a nine and a half hour trip is appalling. He calls this another example of penny pinching by airlines and worries it's a sign of things to come. "Instead of improving services and making [an] aircraft more efficient and decreasing costs by actually making the whole industry more efficient, they are just doing a race to the bottom and offering less and less services for the same price." Transport Canada says there are no rules around providing free meals on flights. "I think this is something that Transport Canada should be stepping in. It's something so troublesome. Even if they don't have regulations now, then they should [bring] some regulation in place around some minimum standards," Lukacs said. Aisha Vance travels from London to Vancouver once or twice a year and says she was surprised when she took the new WestJet flight. "There are way too many competitors flying cheap, reliable flights with many more perks," Vance said. "I've flown Air Transat, Air Canada, British Airways." WestJet says it stands by its decision to take payment in economy class for hot meals. "The bottom line is that our guests want low fares – and that's exactly what we've provided for some 20 years now," the airline's statement said. Both Lukacs and Vance hope other airlines don't follow that model.